Gracemere Industry Park is a 25Ha industrial land subdivision located on Somerset Road, Gracemere, approximately 10km west of Rockhampton City. The park is not flood affected, having experienced no flooding during the significant 2011 and 2013 Rockhampton Region flood events. The property is strategically located in the Gracemere Industrial Area (GIA), a master planned ‘greenfields’ industrial precinct of circa 1300Ha designed to cater for Rockhampton and more broadly Central Queensland’s long term industrial property needs. Situated close to the recently completed GIA highway overpass and well located to all major connecting highways, the Capricorn Hwy, Bruce Hwy and Burnett Hwy, the park is centrally located to serve Queensland’s growing mining operations. 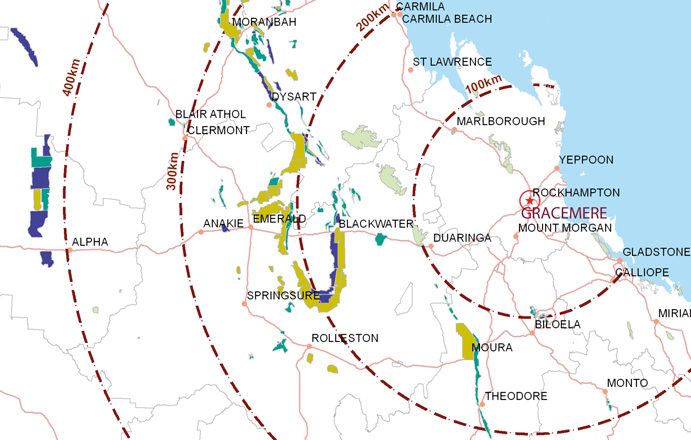 The Bowen, Surat and Galilee Basins are all within a 400km radius and Gladstone Port is only 110km away.